The Roybal Corporation was commissioned to design two elementary schools and to develop two 12 acre sites into playgrounds, soccer fields, softball fields and basketball courts. The two sites, located in residential areas, were developed to accommodate buildings of the same design as a prototype. The Roybal Corporation worked with two separate Design Advisory Committees to develop the prototype school and site development. 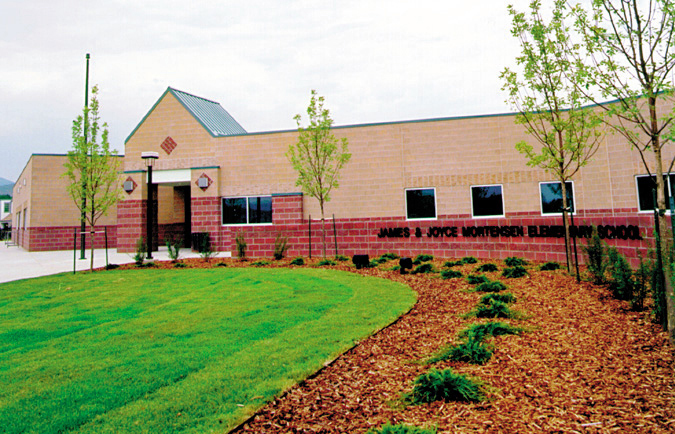 On this project, solutions had to meet all of the predetermined program requirements, the separate desires of the two committees, be responsive to the School District’s written technical standards, and be adaptable and sensitive to two distinct building sites. We are experienced at facilitating planning meetings designed to develop consensus. 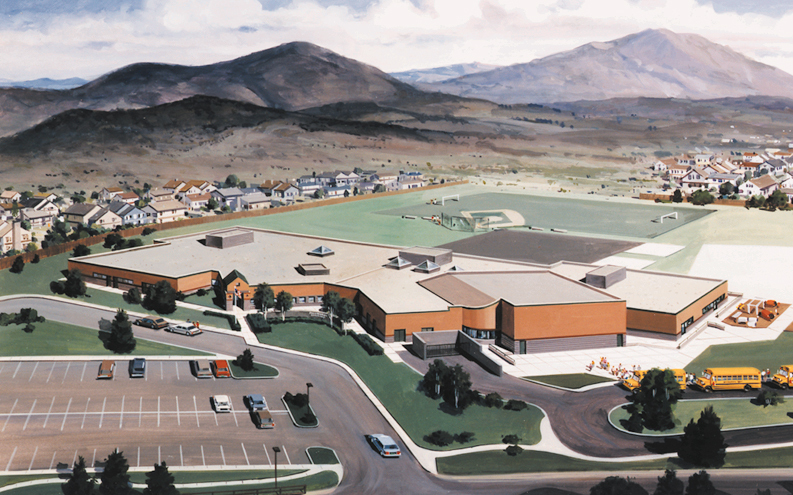 The final design succeeded through the use of a unique plan geometry which organized the school into four teaching pods, with each pod housing six individual classrooms. All classrooms feature exterior window openings, direct access to the exterior and demountable common walls for increased flexibility. The teaching pods encircle common and support areas. 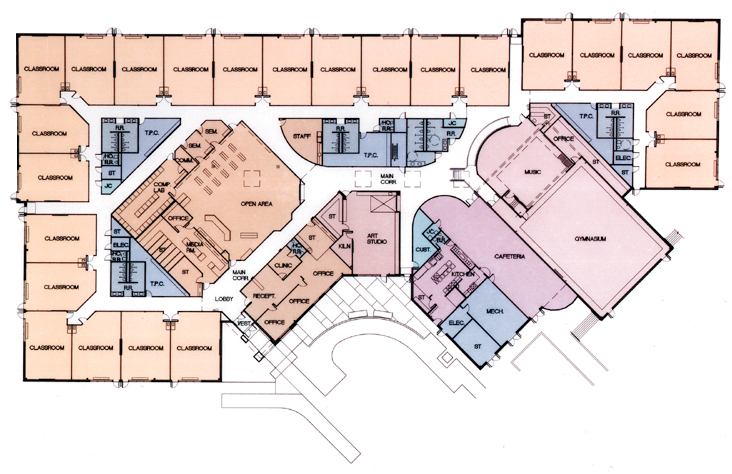 The administration area, library, art room, music room, cafeteria, and the combination auditorium/gymnasium are organized along a skylighted central corridor. The 51,000 sqft. buildings were sited similarly with allowances made for differences in solar exposure, street layout, location of areas appropriate for playgrounds, and general site topography. Exterior and interior material and color choices differed for each site, and were chosen with the input of the staff and the design advisory committee.